Is this man a musical genius? Or does he have too much time on his hands? Either way he’s clearly a Star Wars fan. 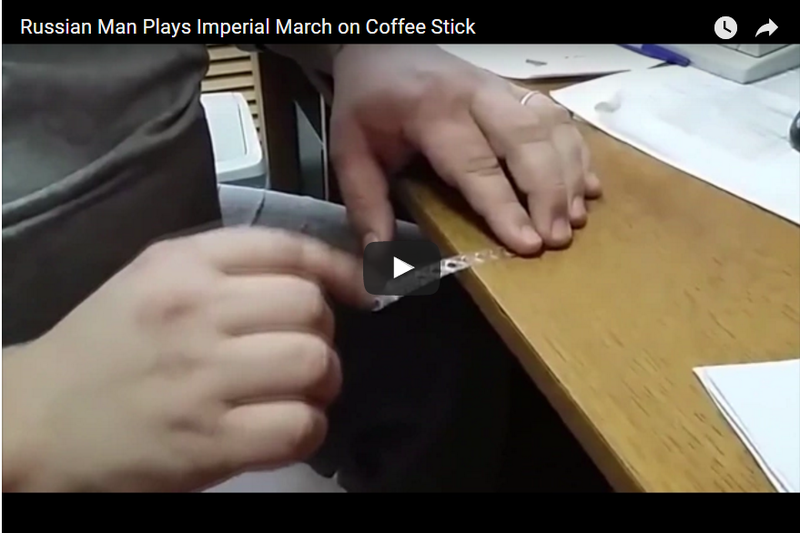 Watch as he plays the play Darth Vader’s “Imperial March” theme from Star Wars using only a coffee stirrer. He’s speaking Russian by the way.